A version of this post appeared earlier today at my blog. 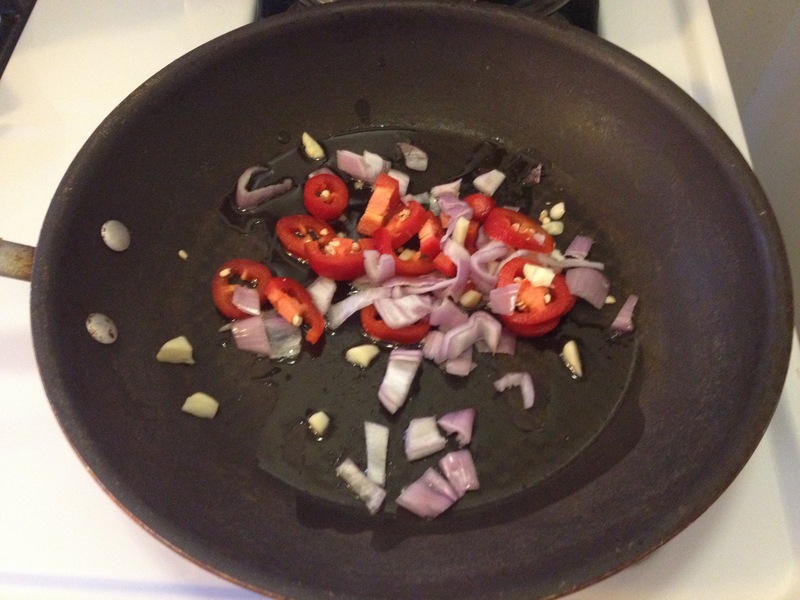 Today’s make for Connected Educator Month is “Make Some Fabulous Food.” Right up my alley! 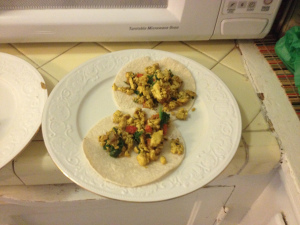 I made tofu scramble tacos, my take on a recipe from Post Punk Kitchen. I started with garlic plus half a shallot and a whole jalapeño, including the seeds. 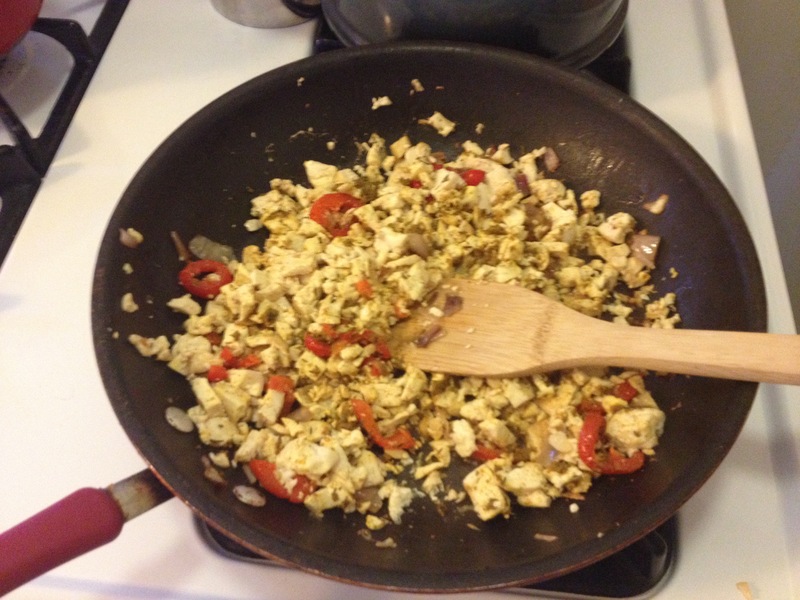 Cooking the scramble with the jalapeño seeds gives it a wonderful spicy hotness. 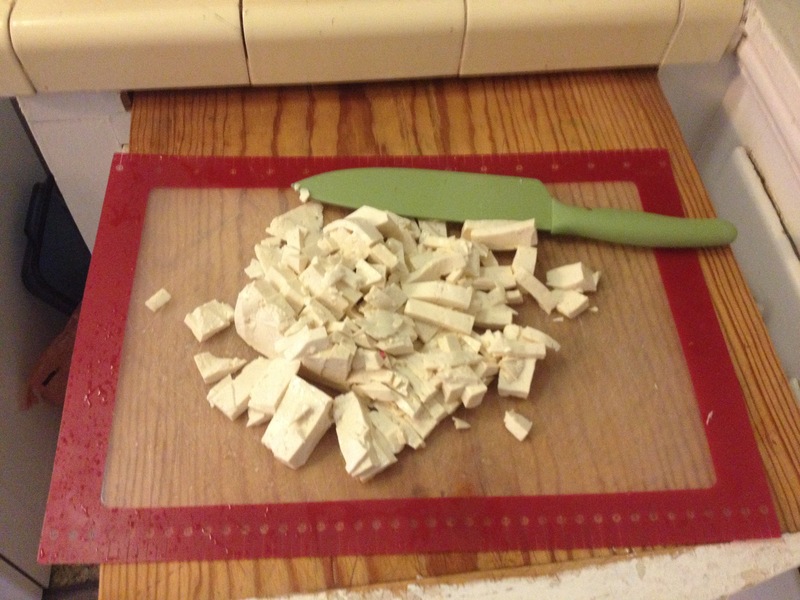 While the garlic, shallot, and pepper sauté, I chop up the tofu. 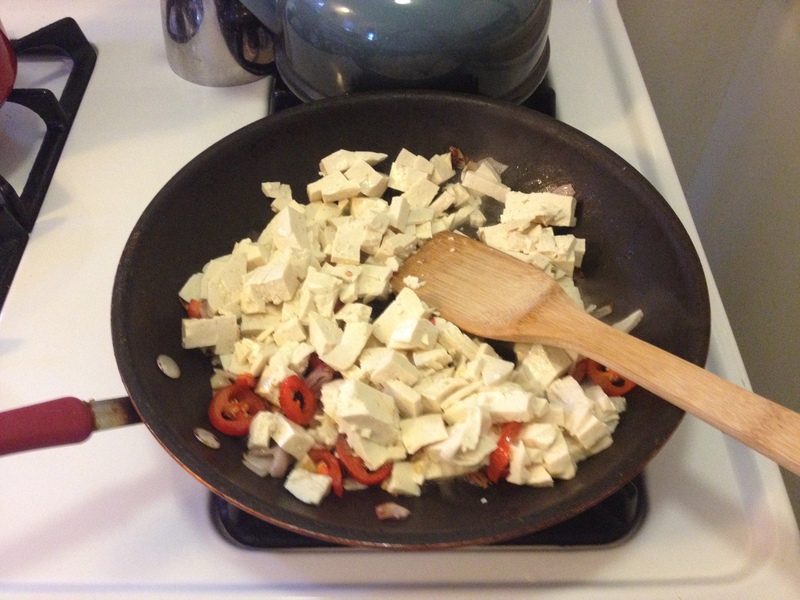 After five minutes, the tofu goes in the pan. 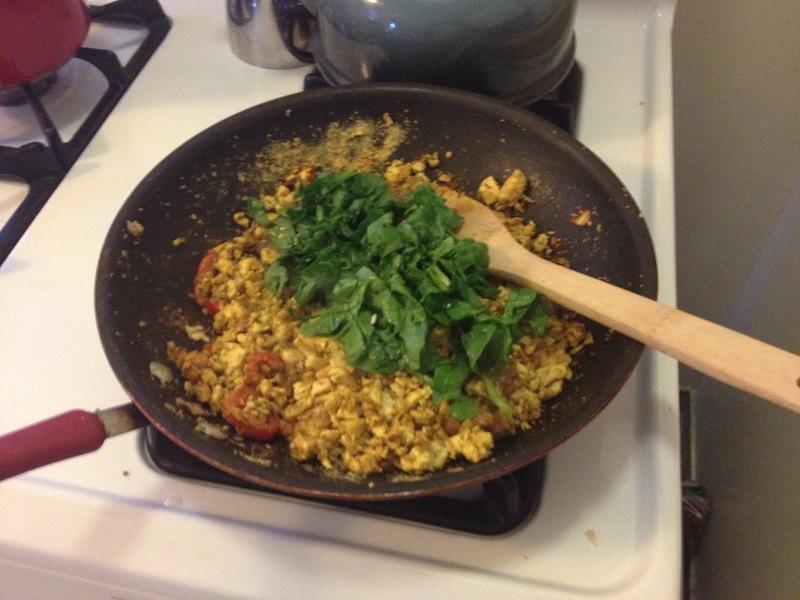 Next I chopped up spinach to add with the spice blend (cumin, turmeric, and thyme) and the nutritional yeast (which gives the scramble a cheesy flavor and adds Vitamin B-12 and protein). 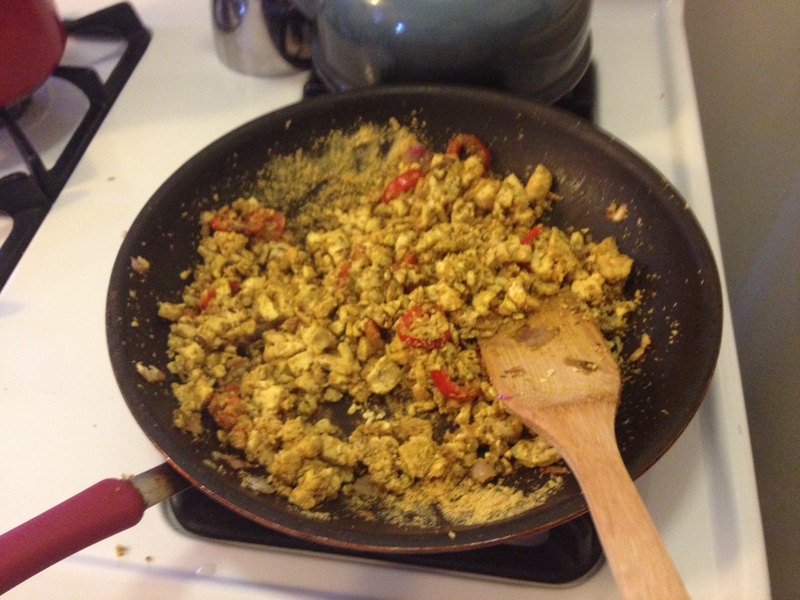 After the tofu has been in the pan for 10 minutes, I added the nutritional yeast and the spice blend. 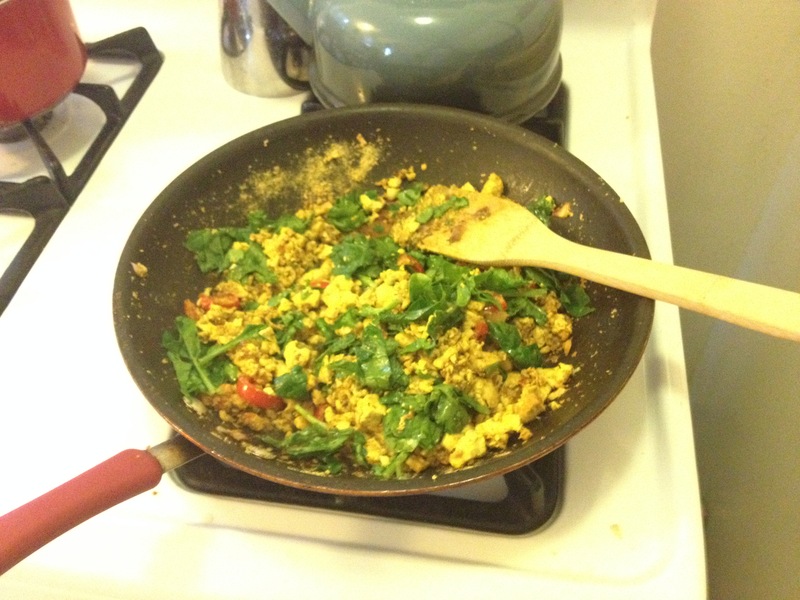 Finally, after three minutes, I added the spinach. 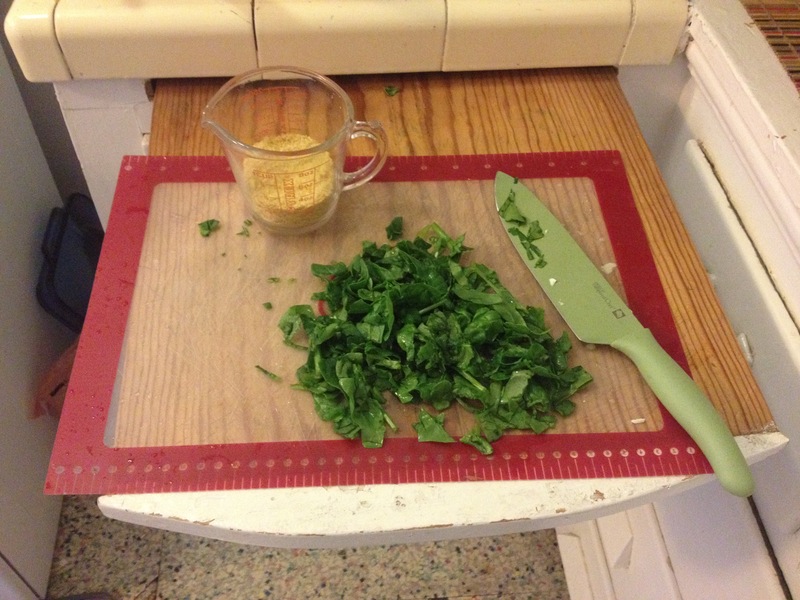 Spinach mixed in – the dish is almost ready! Finally, I heated some corn tortillas on the stove for the tacos. 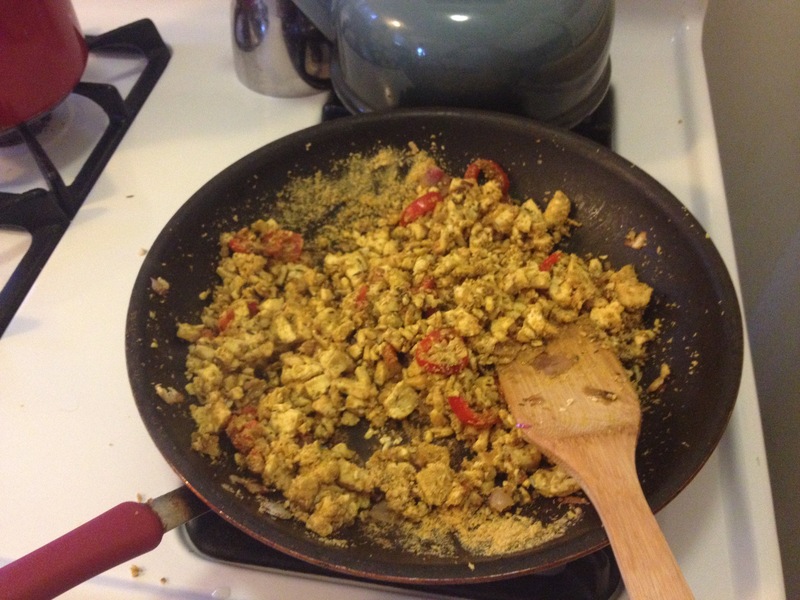 The recipe – following the Post Punk Kitchen’s directions – made enough scramble for 6 tacos. My wife added the delicious Original California Style Hot Pepper Sauce from Pepper Plant to her tacos; I ate mine without added sauce.